Heres the most inexpensive and efficient way to transform sunshine into radiant heat inside your home, RV, boat, camper or office. This passive solar heating fabric hangs inside on clear sunlit widows. It's UV resistant, safe, non toxic, doesn't smell, and very easy to use. The specially designed heat tolerant, black high density plastic material absorbs and traps solar energy against clear glass windows, much like the dashboard does under your car windshieldeven on a cloudy day. Sorry, samples are not available. 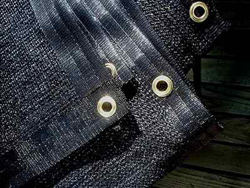 Solar Tech Heating Fabric is light weight and easy to use. Simply hang the material in a sunny window. 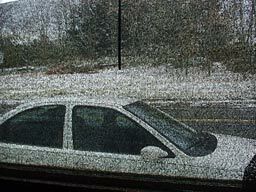 When sunlight passes through the glass, it hits the fabric and is instantly converted to heat. The radiant heat is then passed on into the room.